Many residents moving to the Anchorage, AK metropolitan area will want to know which neighborhoods to search. They may want to think about the Point McKenzie in Wasilla, Alaska area. This is a growing suburb of the city that is becoming increasingly popular for many people looking to move here. The area is well known for its stunning natural beauty and affordable housing options. If you want to see some of the best that Alaska has to offer, you will want to take a look at this suburb. One of the first things that you will notice is that the suburb features everything that you could expect from the perfect small city. All the people here are friendly and welcoming to new people that stop by. Read through to find more information about what you can expect when you buy property in Wasilla, Alaska. One of the first things that you will notice is that the suburb features everything that you could expect from the perfect small city. All the people here are friendly and welcoming to new people that stop by. There is even a general store that has operating in the area for years now. You can get just This will provide your family with the community atmosphere that you will want to experience. There are many advantages of the small size of this community to consider. You may be surprised by how much you can get out of the Point. McKenzie Wasilla, AK area. 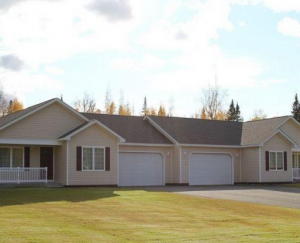 Its proximity to the metropolitan area of Anchorage gives the local residents many considerably amenities. Most newcomers will be happy to know that there is an international airport located in Anchorage. This can allow them to book flights back to visit relatives that they have in other states. The city itself is growing rapidly and features a sizable population. There are many great restaurants and bars to experience in the downtown area. You may want to head in to town on occasion to enjoy some of the amenities that you can find here. If you move to the area, you will be struck by the communal nature of this city. All of the people in this community will watch out for one another. The median age is actually fairly young, currently standing at around 33 years old. This makes the community an ideal place for a young family or for working professionals. If you haven’t found an accommodating city yet, you may want to check out what this town has to offer to you. Finally, you will naturally want to find the best home to suit your situation. Even though the city is situated in Alaska, you won’t find any shortage of options available to you. Take a look at some of the many different styles of homes here. There are new house being constructed all the time in this suburb. No matter what size you need, you will find it if you move here.